Travel Blog | Hagwon? I hardly know won! Hagwon? I hardly know won! I successfully told someone, “I will go there on Tuesday.” This isn’t a phrase that I have memorized. This is no, “미극에사우아사여.” I constructed a sentence all by myself, with no help whatsoever. Moreover my drift was caught. 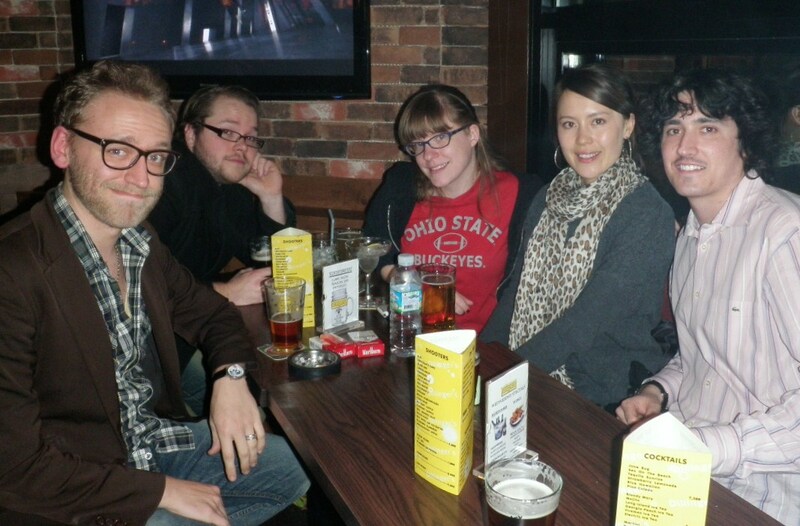 Then again, the more I think about it, I’m pretty sure that I told them, “I went there on Tuesday.” Whatever. It still counts. Oh like you never conjugated a verb incorrectly. I haven’t written in a good long while because I have been one busy little beaver. In February I spent a week in Bangkok and fell in love with Thailand. The food, the architecture, the hospitality, the weather. I loved it all. For every dog that isn’t in Seoul there are five running feral on the streets on Bangkok. There must have been a table tennis tournament in town, because people kept asking if we wanted to see a ping pong show. My life flashed before my eyes every time I sat in a tuk tuk. I took a zip line tour through the rain forest which is the single most fun thing I have ever done in my life. 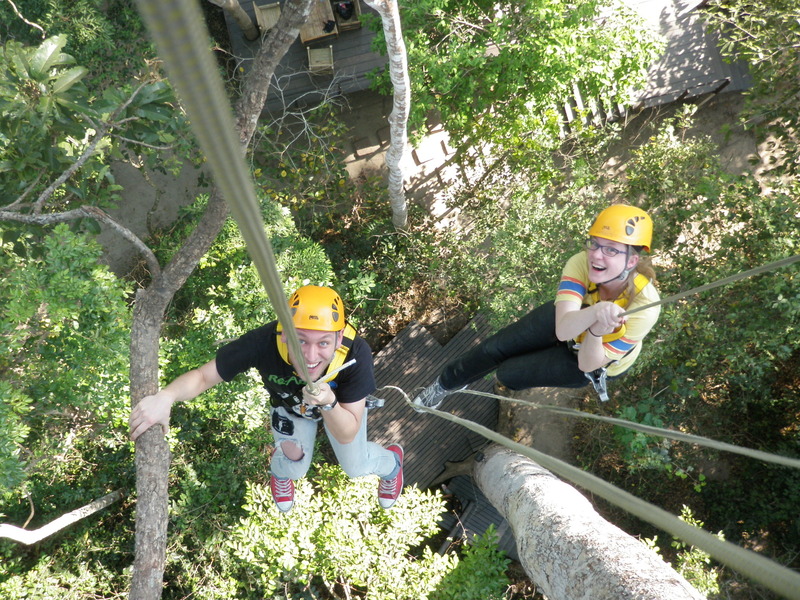 Flight of the Gibbon picks you up in Bangkok, drives you out to the forest, you get to see some of the wildlife in a small and very up close and personal zoo, and then you zip line from tree top to tree top. 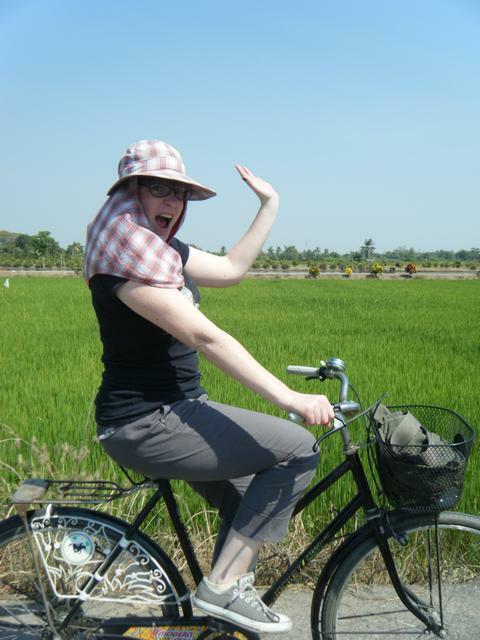 On a bike tour through the Thai country side with Absolute Explorer, I got to see shrimp, fish, and rice farms, even more wildlife, experience authentic Thai culture and have lunch at the mayor’s house. I met my parent’s foreign exchange student. Irene and her father showed us around for a whole day. We got to see Bangkok with Bangkokians, the Grand Palace, Emerald Buddha, an elephant show, the restaurant inspired by the world-famous Siamese Twins, Chang and Eng Bunker. It was a tornado of hospitality. The week in Thailand is the happiest I’ve ever seen Doug in our 10 years together. I fell so deeply in love with the Land of Smiles that we are now planning to move there this fall. Kin, our friend who has been at the Hopyeong branch as long as we have, has finished his contract. After spending a few weeks traveling, he will go back to Colorado on Tuesday. It’s a pretty big bummer. The teacher who was hired to replace Kin bailed on us leaving us one teacher short at the very last-minute. This means that we’ve all had to pick up the slack. At the same time, our school opened a new kindergarten. So in addition to teaching 40 hours a week (to those of you who don’t teach, that’s a lot of classroom hours) I’m also teaching 3 and 4 year olds who don’t speak a word of English how to stand in a line, how to sit still, and how to sneeze into a tissue. The good news is this, I prefer being over worked to under-worked. I like just a little stress in my life. It keeps me on my toes, makes me feel accomplished. I’m making good money. I’ve worked 60 hour weeks back home and still only brought home about $600 for that week. Not the case here. I’m working hard and getting paid what I’m worth. That’s a really good feeling. I’m so busy, I don’t have any time to spend any of that money. I only have one more week of this run ragged schedule before a new teacher arrives and takes a few classes off of my hands. Also, when I do extend myself too far, get sick and miss a class, my students concern is adorable. I received the following note, “to teacher Hellow teacher!! I’m a Jenny. How are you? Are your sick? I’m very worry for you. I’m very sad. Teacher thank you! Beacause you teach me. good bey!” Worth it! I’ve learned by working with the kindergarten students that while I enjoy and plan to get a degree in early childhood education, I don’t want to teach kindergarten as a career. I don’t want to be the one who has to break them in. I’m also learning that I’m ready to go back to school. I’m on the hunt for programs that will allow me to take some classes on-line, so when my schedule opens up, I can start chipping away at my goal of becoming a really honest to goodness teacher. My darling husband, who is working really hard to get the most he can out of his own Korea experience, has joined a band in Seoul. He practices every Sunday and is a much happier camper now that he’s a rock star writer once again. I’m packing as much life as I can into the time that I have. I only get one chance at this and I want to make it a good one. Teaching, without any formal training, 3 and 4 year olds who don’t speak a word of English is a very difficult thing indeed. Mary Teacher fighting! I’ve not written in over a month! I’m the worst blogger in all the blogosphere. I’ve been crazy busy traveling to Thailand, joining a derby league, teaching kindergarten for the first time, having a new teacher ditch us and drop all his classes on us and leave some of us working 13 hour days. I promise to update on everything just as soon as I get a moment to breath again. But this is not that moment. I’ve got to put on my teacher dress, grab a cup of coffee, and try to convey the concept of right and left to 4 year olds who don’t speak English and are really curious about what is in their pants. Yesterday, I made an 8 year old boy behave in such a disappointed way, a mixture of genuine surprise and derailed plans, by telling the class that I am married. It was like I’d told him Lotte World will be closed on his birthday. I just finished watching President Obama’s second State of the Union address in which he mentioned South Korea four times. The only other country he mentioned as many times was China. This says to me that Mr. Obama takes South Korea very seriously. And why shouldn’t he? Not only are they a freshly minted economic powerhouse, but they got themselves to this point in just 60 years. 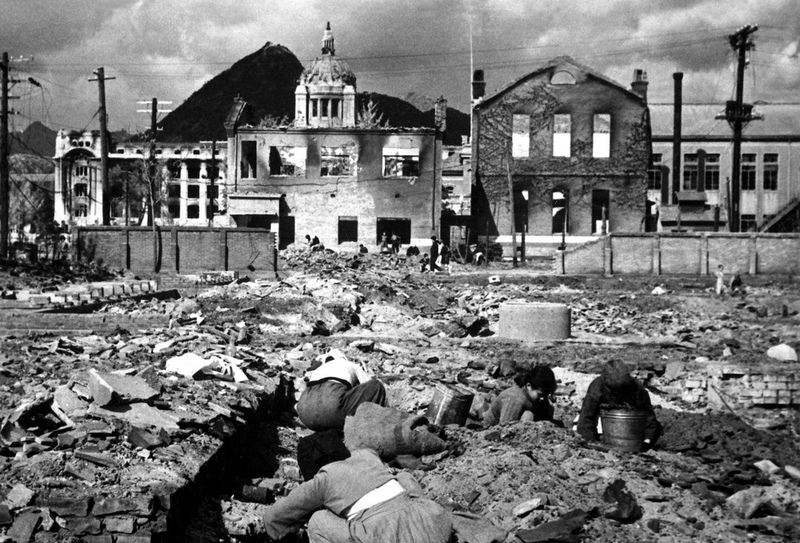 At the end of the Korean War, South Korea didn’t look terribly different from modern day Afghanistan. It was a mountainous, war torn place. Not just the Korean War’s effects but the recent Japanese occupancy left the country burnt, bombed, depopulated and undereducated. In just three generations, they have picked themselves up and built what is arguably the best education system in the world. They have started companies like Samsung, Hyundai, and LG. They’ve taught an entire generation of students the English language. All this, while the North looms above making progress difficult. The key to this success is South Korea’s diligent investment in education. 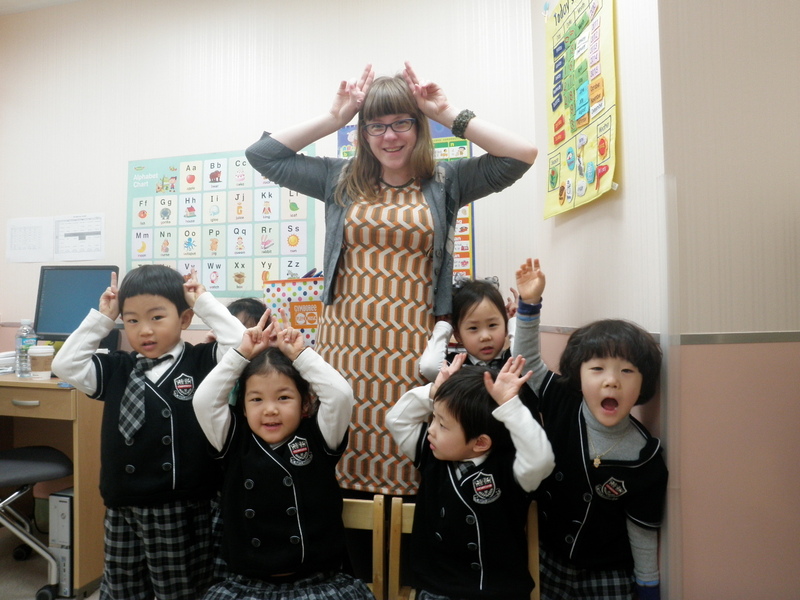 The best educated students in the world are here in South Korea. These kids wake up, go to school, go to hagwons and then go home and do homework and then go to bed to repeat. They go to school every other Saturday and their summer vacation is one month long, a vacation that they spend at English or science camp. This is a people who do not mess around when it comes to school. If they can do all this, we can build a better America. South Korea is an example to the world for self improvement. They have a successful blue print of how to build a vibrant nation. America prides itself on a can do attitude. 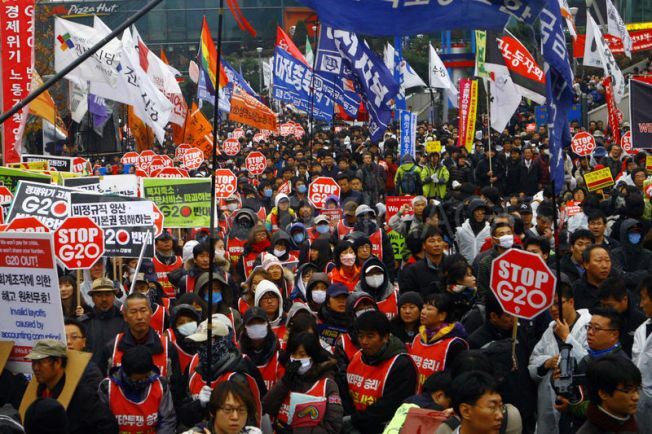 There is not a more can do nation on Earth than South Korea. When I went to camp, my mommy sent me Cheez Ballz and Twizzlers. 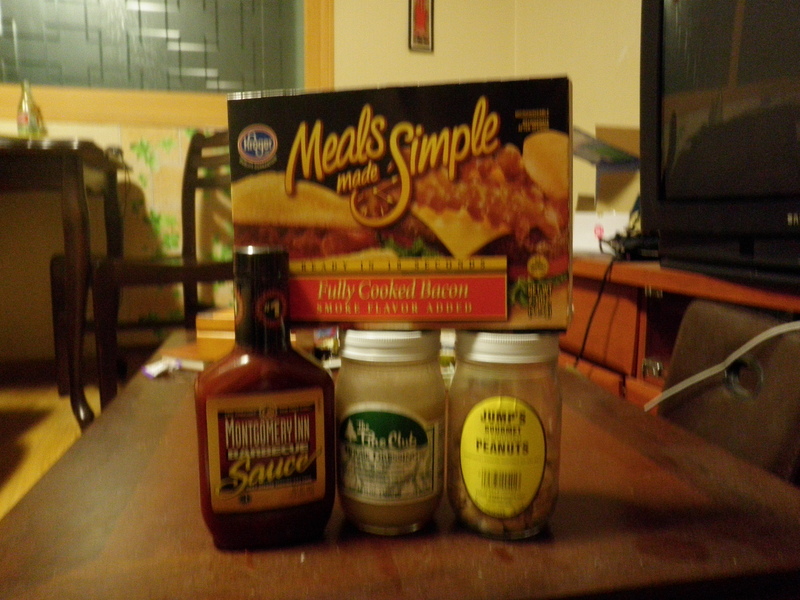 Now I live in South Korea and my mother sends me Pine Club salad dressing, Esther Price chocolates, and Twizzlers. I must be the camp counselor in charge of sophistication.